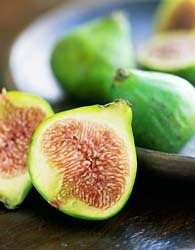 I have never, to my knowledge, actually eaten a fresh fig. Now I have a whole freakin’ quart of them. Suggestions for the rest? figs fruit what do I do with this? ← A review and a question.